Speaking with clients about what’s most important when shopping, fit is always the #1 pain point. Sleeve lengths, inseams, blazer sizes and extended sizing might seem like small details, but they’re not. These measurements are the difference between looking stylish or getting dressed in the dark. Fit is in our DNA. Our happy place is helping you find your perfect fit. It’s a tough job, but someone’s gotta do it. However, that’s not always easy with standard sizes. We believe in finding your unique fit, not matching you to someone else’s. That’s just not what we’re about at Stitch Fix. 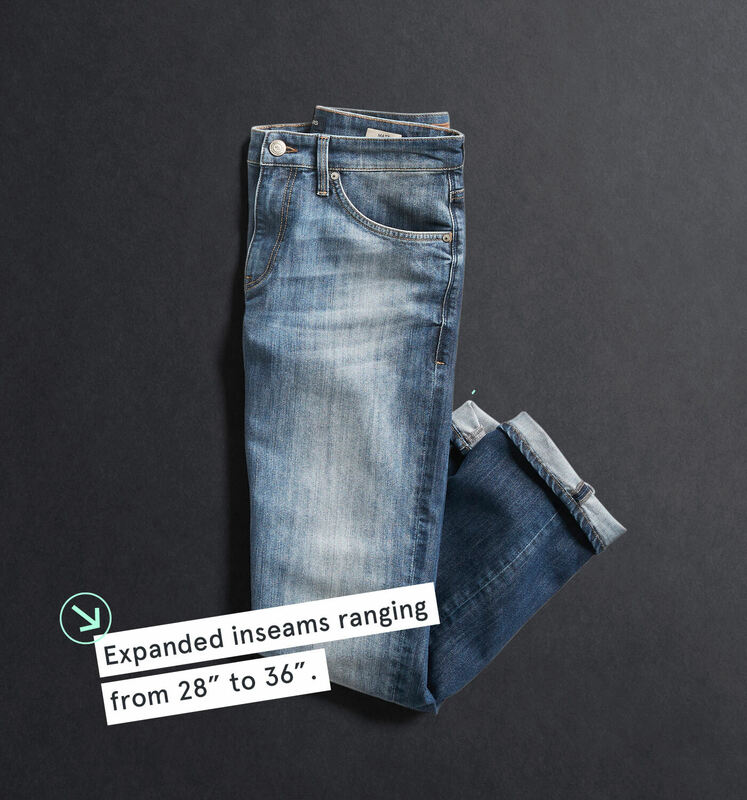 What Sizes Does Stitch Fix Men Carry? With your feedback, we can tailor our clothing specifically to your needs. 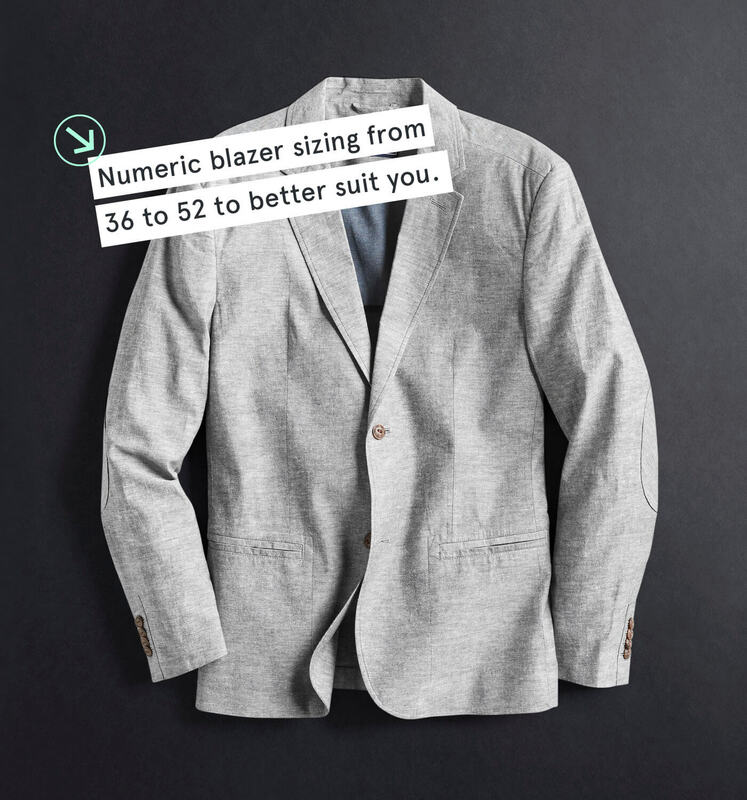 That’s why we’re launching new sizing options to address fit problems like shorter sleeve lengths, extended sizes from XS-3XL and numeric blazer sizing from 36-52. Not everyone’s arms are the length of the standard shirt sleeve. It’s a typical issue with an otherwise well-fitting shirt. 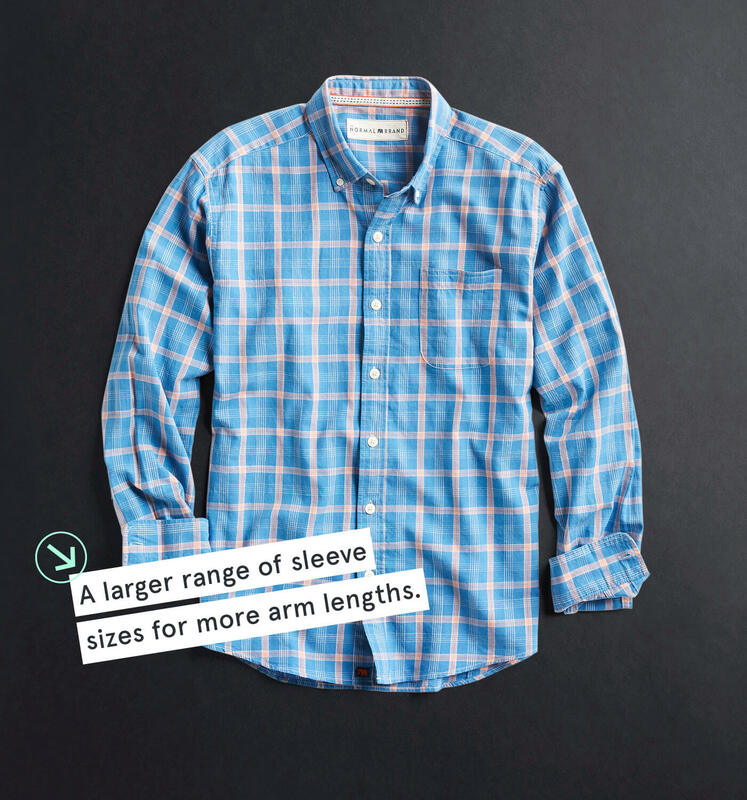 We’ve solved this by offering shorter sleeves that are more in line with what clients have requested. Say goodbye to rolling up those sleeves. Stylist Tip: Your sleeve should hit just passed your wrist bone. Otherwise, it’s too long. This may come as a surprise to some, but some people have inseams that fall above or below what’s typically available in stores. This meant searching for a big & tall or a decent tailor—not anymore. We’re offering inseams from 28” to 36”, no special store or tailor required. Stylist Tip: Your pant leg length should break just above the shoe and not bunch up. Blazers can be tricky. With so many points of fit through the chest and torso, finding the right one isn’t easy. We’ve tried to make this process less daunting by expanding our numerical sizing from 36-52 to find the best fit for you. Stylist Tip: If the fastened button pulls the fabric on your blazer, it’s too small. Someone should be able to look and feel good no matter their build, but it’s not always easy. It can be challenging to find put-together outfits in larger sizes. We don’t think that’s fair, so we’re stoked to announce that we now carry sizes up to 3XL. Ready for clothes that fit you? Update your profile or sign up for Big & Tall today. Stylist Tip: It’s all about fit. Wear clothing that’s the right size (not too big or too small). Our expanded range of sizing based on your feedback is exclusive to us. Your feedback has helped make our ability to find you that perfect fit for your shape, height and build even better. When you talk to us, we listen. Let one of our Stylists find your fit by scheduling a Fix!